At this point, it's been over a month since Book 8 released with its new dungeon, Dar Narbugud (referred to as DN henceforth). DN is a multi-boss dungeon featuring six boss fights with trash mobs interspersed between them, comparable to the Rift in length and difficulty. This guide will attempt to provide strategies for the fights found in DN so that kinships throughout LoTRO will have an opportunity to experience this great dungeon firsthand. As of now, the end of July 2009, only a few have had the chance to complete all the fights found here. Via this guide, I hope to open this experience up to a larger portion of LoTRO's playerbase. -- All members of your raid must be properly prepared (more on that later). -- All members of your raid must be willing to listen to orders and execute them immediately. -- DN will take around three hours to complete for an experienced kin. If you are new, make sure everyone you are taking has four hours to spare at minimum. Preferably, you will have more time than that spread over multiple days. -- DN is difficult for those that have not done it before. Make sure everyone is aware that wipes will likely happen, and everyone is prepared to accept the resulting repair bills. -- Many mobs in DN do not like to be CC'd (Crowd Controlled), and will buff themselves if you attempt this. More later. -- Assign a raid target assist, this will help tremendously throughout. Make sure your hunters and other damage dealers target through this person. -- Stacks of six types of potions: Morale, Power, Wound, Poison, Fear, Disease. The status ailment potions must be of the level 65 variety. -- Two +5 hope tokens (15, 30, or 40 minute all work), two Battle Lore, two Warding Lore per member. -- Important! Every person MUST have at least 65 radiance from gear. This can be obtained from having all of the +10 radiance pieces and one piece of the Book 8 +15 radiance gear. Or, have the Watcher helm or shoulders. More radiance is always better! -- Be sure all members of the raid are properly traited. This means, in particular, that tanks must have as much melee mitigation as possible, minstrels have Rally and Fellowship's Heart, hunters have Rain of Thorns, and loremasters have their various status protection traits slotted. Ask someone that regularly raids a class for more details, I just play a minstrel and thus don't know it all. When you enter the instance, you'll find yourself in the entryway to a large room full of mobs, with two trolls walking around the middle of it. These trolls are the first boss, you will fight them together. To prepare for this fight, leave your whole raid in the entryway and send a lore master to pull groups to you. In most cases, this will mean mezzing the biggest enemy once (trolls) and letting everything else run in. Important! Do not Crowd Control anything in this room more than you have to, as it will stack buffs each time it is hit with a mez, root, or fear. These buffs will increase its damage by 25% per buff. So, mez a troll once to get 30 seconds delay and take a buff, then have your tank ready to pick it up when it comes in. Before starting the fight, make sure to pop a token and scrolls for both groups, then have your tank run in and aggro both of the big guys. Give him a few seconds to build aggro, then have your target assist start hitting one of the trolls. You want to bring both troll's health down approximately equally during this fight. So, attack one until the other is down to 200k. Then, attack the one at 200k until the other is down to 200k also. Once they are both at 200k, bring them both down to 150k using the same method. At this point, get ready to start a mad DPS dash. As soon as one troll goes below 120k, the other troll will begin stacking buffs on himself approximately every 30 seconds. These buffs increase his damage. Note that these buffs will be on the troll you're hitting, not the one you're actually damaging (yes, this is confusing). In order to minimize these buffs for the last part of the fight, you want to bring down one troll from 120 to 0 ASAP, as the buffs stop stacking (but previous ones remain) once one troll dies. Also, you'll see Snarling Overseers here. These are harmless mostly, as long as you use corruption removal! Let the corruptions stack up and you'll be in a world of pain as they disarm and silence your entire raid. You have been warned. The only other thing to note on this fight is that your raid should be spread out, as the Green poison DoTs are contagious. Just stay away from everyone else and you'll be fine (and he should only be in that phase for about 5 seconds anyway). 1. Important! He will call the name of a person in the raid. That person must exit Flagit's room immediately. Once they see the eye over their head disappear, they must re-enter. If a person is already outside when their name is called, or they don't get out in time, they will die. And anyone standing within a very large radius of them will die. That simple. Note that the tank (whoever currently has aggro) will never be called. 2. Also Important! You will see red flames appear around his body briefly, followed by a large, obvious shield. As soon as you see the flames, someone call it out over voice, and everyone stop attacking immediately, including autoattacks. Have your tank shut off his autoattacks or face away from the boss. Think of this as a large game of Red Light, Green Light. Go while the light is red and you're out (well, actually you heal the boss for 5k each time you hit him. And maybe your raid leader will kick you out. ) Once the shield winks out, you can attack freely. 1. He will do a whirlwind sort of move that will damage everyone a bit and toss everyone around the room. Not a huge deal. 2. Important! He will drop acid puddles like the trolls. Watch for them, don't stand in them. 3. Very Important! This third move is the toughest part of the fight. He will periodically summon 4 crawlers into the room. Each of these will, if they touch someone, explode, dealing 1k-2k damage to everyone nearby. Obviously, this can be painful, especially if all 4 hit you. For the first half of the fight, the crawlers will all spawn in the middle of the room. Position a champion there, and keep everyone else away. The instant the crawlers pop, the champ should let loose with a big AOE to kill all four. No harm done. If he's too slow, well... at least you only had a champ die. Later on in the fight, one crawler will spawn in each corner of the room. Assign one person to watch each corner, hunters work very well for this. 4. Once Istum gets to about 100k health remaining, he will turn random aggro and only respond to force taunts. Fun, eh? Just have your minstrels keep their eyes open, drop Fellowship's Heart if needed (it probably will be), and don't panic, he'll die soon enough. 1. The world-eater will cast a patch of dark tentacles somewhere on the ground, centered on a member of your raid. Anyone standing in this patch takes minor damage over time, but also has -90% outgoing AND incoming healing. Obviously, don't stand in it. The world-eaters tend to cast this on minstrels most frequently, so keep your eyes open and stay moving. The patches will root you for about 4 seconds before you can move out of the way when they first spawn (unless you have the DN boots from the boss trolls! 4 seconds of tentacle roots, -4 root duration... coincidence? I think not.). 2. The world-eater will apply debuffs to members of the raids saying they will incur the world-eater's punishment if they are high on the aggro list. The world-eaters tend to cast this around 15k, and will nuke everyone with the debuff a while later. If your DPS on a world-eater is reasonable, they'll never actually get this attack off, and that's the easiest method of avoiding it. 1. He will randomly apply a green eye to one member of the raid. This is contagious, and will spread to anyone near you. It will do a few ticks of a damaging DoT (about 2k overall), and then expire. If nobody is near you, that's all it does. If they are... they get the eye. And then give it back to you. And then... you get the point. Don't pass it around. 2. He will randomly apply a red eye to one member of the raid. This is very similar to the green eye, except it nukes you for 2k all at once when it expires, then passes to anyone near you. Again, don't stand next to anybody and you'll be fine. 3. This one is why most groups wipe in phase 1. He will punt the tank that currently has aggro, and wipe all aggro on that tank. The other tank must be ready to instantly pick up aggro with a force taunt to prevent the boss from running after a ranged attacker. Important! Hunters: keep absolute minimal threat during phase 1. This means staying in endurance and using nothing except quick shot and autoattack -- perhaps not even autoattack! Haste wILL kill you in this phase. Be patient and drain his health slowly to proceed to phase 2. 1. Darklings will periodically spawn and run at someone in your raid. When they collide, the targeted person will be sucked into a hole in the floor, unable to do anything for 10 seconds. However, that person may still be healed and attacked. BUT, their aggro is reset to 0 while in a hole, and bounces back to what it was before as soon as they exit. This is why you still need two tanks here, in case one gets sucked into a hole. Also, it is possible for both tanks to end up in holes, if that happens don't panic. Keep everyone alive until one pops back out, the BO will turn around and run back to the tank immediately. 2. The BO will spawn the same tentacles on the ground that the world-eaters you've seen did. These will 99% of the time spawn under a minstrel. So, minstrels, once you see them, move out of the way to avoid the -90% outgoing healing debuff. 3. The BO has an extremely nasty melee AoE attack. As in, one-shot guardians on crits nasty. This move can be interrupted. Thus, your burglar must make it a priority to spam addle on the BO, while your champion clobbers every time he sees the induction start (signified by an orange ring around the BO). 1. Tentacles still come, as in phase 2. 2. The AoE attack still comes, but much more frequently. Now is the time for your champion to prove his worth, with clobber's short cooldown he should be able to get all of them. 3. The BO starts stacking damage boost corruptions, a la the Watcher. These come about once every 5 seconds. The way to deal with these is to have your guardian make liberal use of Sting, your champ make liberal use of feral strikes (in between clobbers), and your burglar do whatever-burgs-do-to-remove-corruptions. In addition, Important! anyone else with a burst corruption removal (three at once) should be set up in a rotation (this includes hunters and Loremasters particularly). Hunters should never use merciful shot unless it is their time in the rotation throughout this phase. Have a raid leader call out the first burst for each member, one every few seconds, then instruct them to hit it again immediately after the skill cooldown expires. Doing all of this should keep corruptions to a minimum. 4. You thought corruptions were the worst part of this? Ha! The Blind One also begins summoning doppelgangers of himself every 45 (confirmed, thanks topic posters) seconds. These do not use any of his special abilities, and do not have a poison aura, but they do it hard. Oh, and they each have 500k morale like him. How do you deal with this? Your loremaster. They CAN be CC'ed any way you like -- root, stun, mez, fear, anything. Use it all. Your LM should be going nuts here keeping everything down he possibly can, but other members should also use their CC if needed (minstrels, got one beating on you? Fear it off.) When your LM starts to get overwhelmed (should be around 80k), have a minstrel cast Call to Greatness on him for extra mez goodness. 4b. An alternate method of dealing with the doppelgangers makes use of the fact that they take heavy damage from being CC'ed (as in tens of thousands of damager per CC application). If everyone in the raid hits each spawn with all the CC they have, you can kill them as they spawn. Also, (unconfirmed) they may spawn faster if you do this strategy: every 30 seconds instead of 45. Once the Mistress turns green at half health, have everyone spread out. Stay away from others, but still preferably within healing range (minstrels in the middle if possible). You will have three waves of a LOT of adds. They are all signatures, and die very quickly. However, they all use a frontal AoE attack. This is why you spread out. Burn down the three waves, it shouldn't be that bad if you got this far. Acknowledgements to my kin Defenders of the Greyflood for being the other 11 guys working together to figure this dungeon out, and for pointing out the stuff I forgot in this guide on our kin forums. Bien de le reposter khepri! Je m'attelle à une traduction cette nuit (oui, j'aurai le temps, entre 23H et 7H du mat' xD), et j'essaierai de faire jusqu'au combat des trolls inclus. Et de ce que j'ai pu lire, on a plus ou moins 75% du boulot déjà abattu, c'est encourageant. Ils tombent au prochain essai. Le Guide de Dar Narbugud, par Tordana. A ce jour, ça fait plus d’un mois que le livre 8 est sorti avec son nouveau donjon, Dar Narbugud (désigné de la façon suivante : DN). DN est un donjon multi-boss, avec six combats de boss entrecoupés par des monstres errants, comparable à la faille en termes de temps et de difficulté. 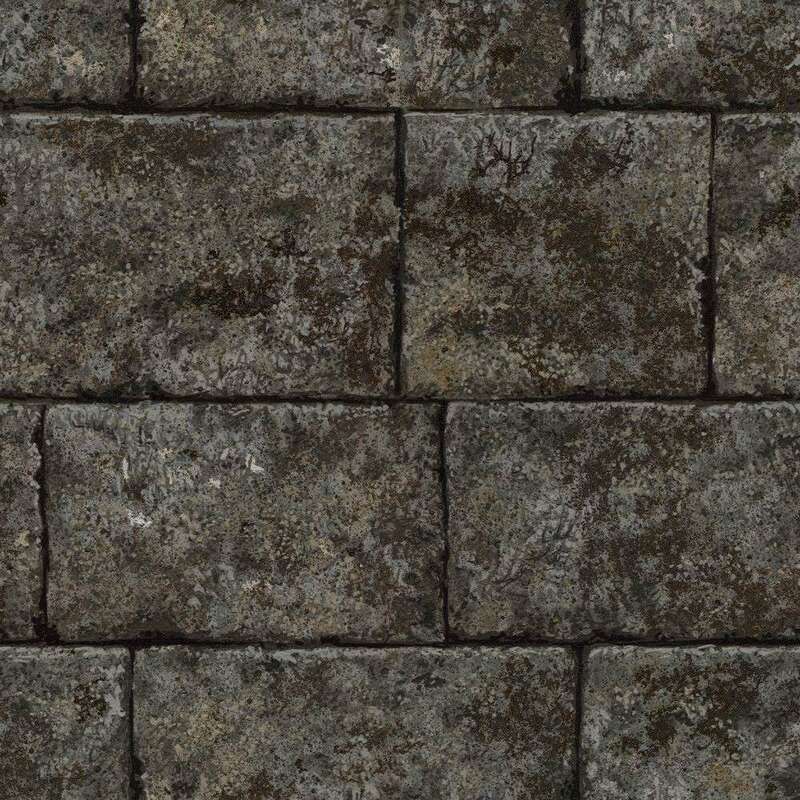 Ce guide essaiera de proposer des stratégies pour les combats de DN de façon à ce que les communautés de lotro aient une chance d’essayer ce grand donjon pour la première fois. D’ailleurs pour le moment, en cette fin de juillet 2009, peu ont eu la chance de réussir toutes les rencontres qui s’y trouvent. 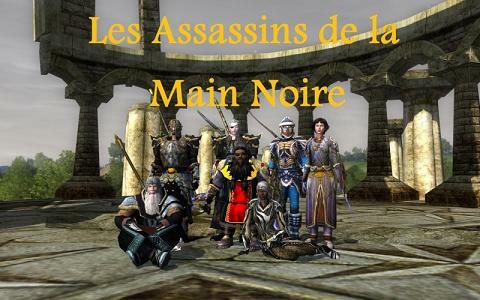 Via ce guide, J’espère proposer cette a un plus grand nombre de joueurs de lotro. -	Tous les membres du raid doivent être prêt à écouter les ordres et les exécuter immédiatement. -	DN vous prendra environ 3 heures pour être terminé, pour une communauté expérimentée. Si vous débutez, vérifiez que tous ceux que vous emmenez avec vous ont au minimum quatre heures à consacrer. Il serait préférable d’avoir plus de temps, par exemple en plusieurs jours. -	DN est difficile pour ceux qui ne l’ont jamais fait. Vérifiez que tous soient au courant qu’il y aura certainement des wipes, et que tous soient préparés à en accepter les réparations qui en résulteront. -	Plusieurs monstres de DN n’aiment pas être CC (contrôle de foule), et se bufferont si vous essayez. Précisions ci-dessous. -	Assignez une cible d’assistance de raid, ça vous aidera énormément. Vérifiez que vos chasseurs et les DPS sélectionnent la cible d’assistance. Ce qui suit concerne les choses que CHAQUE membre de votre raid doit emporter avec lui dans DN. -	Des piles des six types de potion : morale, puissance, blessure, poison, peur, maladie. Elles doivent être de niveau 65. -	Deux symboles d’espoir +5 (15,30, ou 40 minutes, aucune importance), deux parchemins de connaissance du combat, et de la protection, par personne. -	IMPORTANT !!! chaque personne DOIT avoir AU MOINS 65 de radiance. Peut être obtenu avec les pièces de radiance +10, et UNE pièce du livre 8 à +15. Ou ayez les épaulières ou le casque du guetteur. Plus de radiance, c’est toujours mieux ! -	Vérifiez bien les traits de tous les membres du raid. Ça veut dire en particulier que les tanks doivent avoir le plus d’atténuation des dégâts de mêlée, les ménestrels leur cœur de communauté et « ralliement (NDT : pas sur du nom de cette compétence, en anglais c’est « rally »), les chasseurs pluie d’épine, les maîtres du savoir leurs différents traits de protections équipés. Pour les autres classes (NDT : la narratrice dit qu’elle ne sait pas, donc éventuellement comparer à d’autres raids pour les GDR, sentinelles ou champions. Pour les capitaines, parjures et dernier combat. Pour les cambrios, pas de DPS, pari/espiègle, manoeuvre incapacitante est un gros plus pour contrer les buffs de dégâts des trolls). Les premiers bosses : les trolls. Lorsque vous pénétrez dans l’instance, vous vous trouverez dans l’entrée d’une grande salle pleine de monstres, avec deux trolls faisant une ronde. Ces trolls sont les premiers bosses, vous les combattrez ensemble. Pour préparer ce combat, laissez votre raid entier dans l’entrée et envoyer un Maître du savoir ramener les groupes vers vous. La plupart du temps, ça veut dire un mezz sur le plus gros ennemi UNE fois (les trolls) et laisser tous le reste s’amener. ATTENTION ! Pas de CC plus qu’il n’en faut, car ça empile un buff à chaque fois pour un mezz/root/fear. Ces buffs augmentent le dommage de 25% chacun. Donc, il faut mezz le troll une fois, profiter des trente secondes sans lui, et seulement là laisser le tank le cueillir lorsqu’il arrive. Il devrait y avoir 5 pulls dans cette pièce, une fois dégagés vous êtes prêts pour les trolls ! Ces deux mecs ont une mécanique très intéressante : les dégâts faits sur l’un d’eux seront en fait encaissés par l’autre. Cependant, les débuffs posés sur un s’appliqueront bien sur ce dernier. Notez que les débuffs d’augmentation de dégâts tels les parjures doivent être posés au troll que vous tapez, et non pas celui que vous blessez. Une deuxième chose à savoir avant de démarrer est que les trolls ont une technique spéciale qui pose des flaques d’acide sur le sol, trois à chaque fois par troll (pour un total de 6). Les flaques seront centrées sur des membres du raid au hasard. Lorsque vous voyez une flaque se former sous vous, BOUGEZ ! Cassez toutes vos inductions (NDT : pareil, je sais plus le mot exact, disons Cast aussi, ou encore canalisation) et tirez vous de là. Elles font très mal et vos ménestrels vous diront merci. Enfin, les deux trolls vont de temps à autre balancer une claque à un membre du raid au hasard, même lorsque le tank à toujours l’aggro sur lui. Prenez sur vous et laissez faire, soignez le malchanceux, vous ne pouvez rien faire d’autre. Ils retourneront d’eux-mêmes sur le tank après ce mouvement. Avant de démarrer le combat, pensez bien à lancer un symbole et les parchemins pour les deux groupes, puis laissez le tank charger et récupérer l’aggro des deux gros bonhommes. Laissez-lui quelques secondes pour construire son aggro, puis donner l’ordre à votre assistant de cible de commencer à taper un des trolls. Vous voulez baisser la vie des deux trolls à peu près en même temps pendant le combat. Donc, attaquez le premier et faites le descendre à 200. Puis attaquez l’autre et faites-le descendre à 200. Une fois les deux à 200, descendez-les tous les deux de la même façon jusqu’à 150 k environ avec la même méthode. A ce moment, soyez prêt à vous ruer avec un DPS de folie. Dès que l’un des trolls est en-dessous de 120K, l’autre va commencer à empiler des buffs sur lui-même toutes les trente secondes environ. Ces buffs augmentent ses dégâts. Notez que ces buffs seront sur le troll que vous tapez, pas sur celui que vous blessez (oui, c’est compliqué). Pour minimiser ces buffs dans la dernière partie du combat, vous devez un troll de 120K à mort, étant donné que les buffs arrêtent de s’empiler dès qu’un des trolls meure (mais ceux qui étaient déjà posés restent). Donc, dès que les deux trolls sont à 150k, choisissez-en un que vous commencez à bastonner. A 120K, continuez à taper le troll que… vous tapez (ça va augmenter les dégâts sur l’autre) avec les parjures, et les deuxièmes parjures une fois atteint les 60k. à 10K restant IMPORTANT !!! Tous ceux qui sont aux Corps à corps à part le tank s’écartent des deux trolls et laissent les chasseurs le finir. Un champignon vénéneux va apparaître sur le tank dès que l’un des deux trolls meure, et vous ne voulez que le gardien dedans, vu que ça fait mal. Très mal. Maintenant, prenez une bonne inspiration. Idéalement à ce niveau, un des deux trolls est mort, l’autre à grosso modo 150K, avec 3,4 buffs, sur lui, et votre tank se tient au milieu d’un nuage de poison. Il est temps d’en finir ! Tous les dégâts que vous ferez maintenant blesseront la personne que vous tapez. La façon la plus facile de terminer est la version longue : laissez votre tank dans le champignon et tous ceux à distance dégomment le boss d’en dehors, pendant que le ménestrel soigne le tank en boucle. Autrement, vous pourriez avoir votre tank qui se déplace sans cesse hors du nuage de poison pour laisser les corps à corps taper, mais dans ce cas le troll va ajouter des champignons, et vous aurez de moins en moins de place pour manœuvrer. Faisable si tout le mon de dans le raid a une bonne réactivité de mouvement, mais si vous avez eu du souci avec les flaques d’acide, il vaut mieux utiliser la méthode lente. Les deux trolls sont morts ? Bien. Eclatez-vous avec vos bottes, et quelques PX et des runes dans le coffre. GG Thotho pour la translation, n'oublie pas cet adage italien concernant cet exercice délicat : traduttore, tradittore (traducteur, traître). Par contre, je suis pas du tout convaincu de l'avantage du PS sur le pari pour les cambrio. Certes tu vas taper plus fort, mais tu te prives aussi de tous les paris de débuffs qui s'additionnent avec ceux de l'espiègle. Mais par contre ça m'étonne pas que les cambrios qui ont réussis ont eu cette config là, je pense que tout dois passer à peu près pour un cambrio. En fait, je pense même que si tout le monde fait son boulot, le cambrio n'a pas besoin de changer ses traits, il ne fait qu'apporter un confort au combat, confort qui sera plus ou moins important selon les configs'. Perso j'étais 4 pari deux PS deux espiègles.